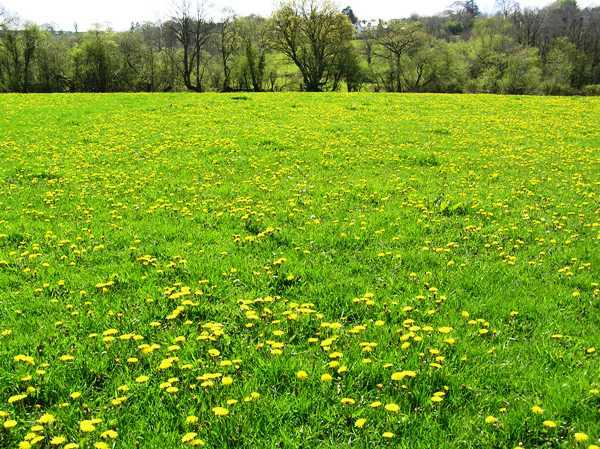 The Common Dandelion is common and widespread throughout the UK, Ireland a much of Europe. In April they almost dominate the landscape. There are many myths and mysteries about dandelions, including the belief that picking them will cause incontinence. 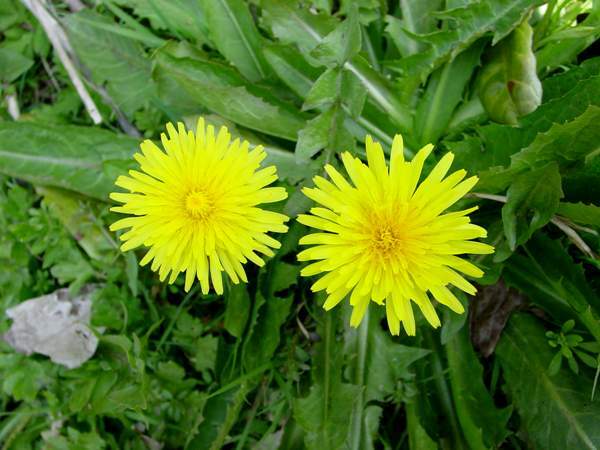 The leaves are sometimes used as a salad vegetable and the flowers are used in making dandelion wine. There are a great many sub-species of dandelions, and many other plants are mistakenly given this name. From a distance, people sometimes mistake the many species of hawkbits for dandelions. 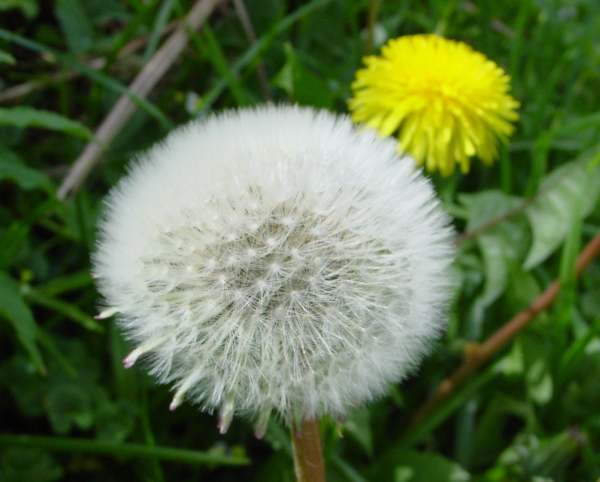 True dandelions have hollow stems and, when picked, bleed a milky liquid. The familiar bright yellow flower and dark green jagged leaves of the Common Dandelion. Dandelion 'clocks' comprise the many seeds of this composite flower, with their downy parachutes that travel great distances on even thelightest of summer breezes. Children still play the game of blowing at the seed heads, and determine the hour of the day by the number of blows required to disperse the seeds. The flowers shown on this page were photographed in West Wales in April.